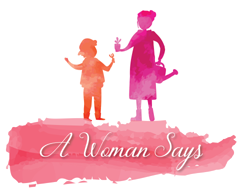 You are here: Home » A woman says » Motherhood » am i a good mom? am i giving him enough attention? do i need to change my food habits? am i eating the right nutrition ? is he receiving the right nutrition?? all these are nightmarish questions that google my brains for answers and i fail to provide a relevant one each time…. friends from my p101 gang, and we chat a lot over wats app!! we discuss our kid’s cranky situations and share pics/videos of how beautiful our little ones are growing up..
mine little sleepy fellow is the youngest one of all (20days)… with the eldest one 4 months old. these girls give me a sense of belonging… that i belong to the world of motherhood and that some day as time passes i will be just fine; i will be able to understand why he is crying so much… i wil be able to understand what food i intake makes him gas-prone. they have been the only and the best friends in ahm now. we share an equilibrium that is bonded via our little cute ones. what have i been eating these days to make the milk flow go zoom??? basically hot in nature- papaya. 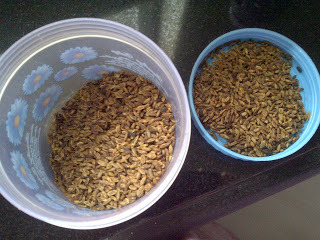 suva dana (dili seeds); helps improve digestion .. since i am resting most of the time and eating more than usual. 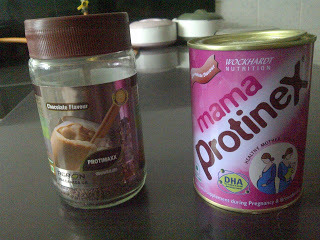 protein powders once a day in milk… these are two different varieties i tried… a detailed blog on them coming soon. 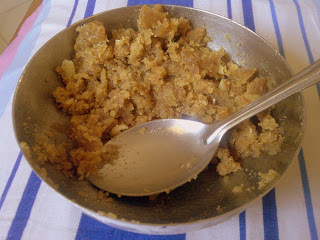 katlu: one of the wonders of food world! it reduces back pain, increases milk flow and keeps my energy level high! lots of benefits! a recipe shall follow soon. 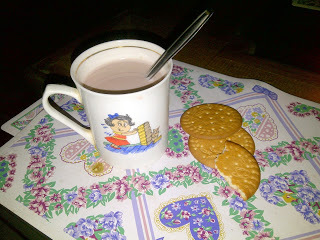 a mid night milk and wheat biscuit routine… i know biscuits are not a post- delivery food but who can cook at 4 in the morning?? certainly not me!! 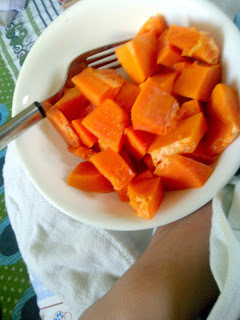 a detailed wat to eat and wat not in the 40 day confinement period in my next blog. be happy to make ur kid happy. a happy mom = a happy kid!